Sharon McLucas displays artifacts she and her husband have collected over the years at the Expo Arts Center as part of the traveling exhibition Forgotten Images. File photo by Stephanie Rivera. A Black History Month exhibit at the Expo Arts Center earlier this month. Photos by Stephanie Rivera. 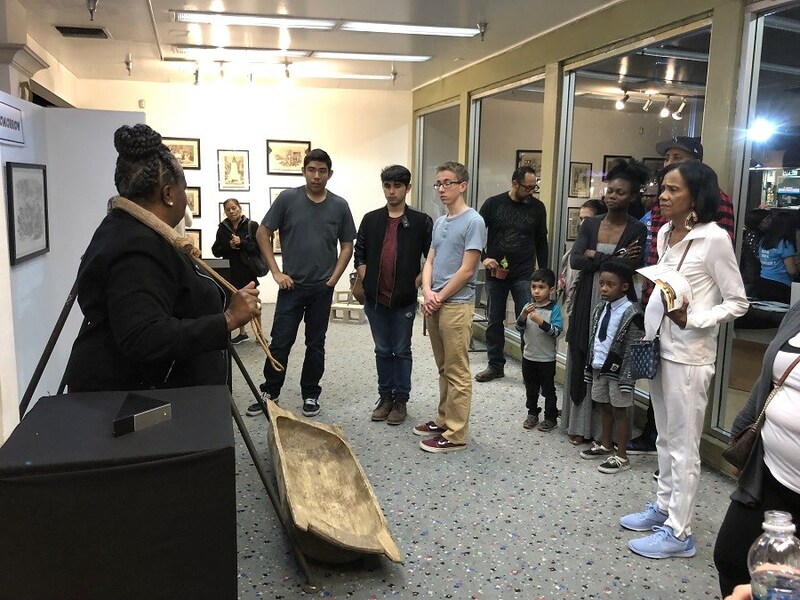 A mainstay among the various exhibits showcased in the Bixby Knolls building during the weekend-long festivities is the “Forgotten Images” traveling educational exhibit and museum featuring thousands of artifacts that span two centuries of the African American experience. Austin said after hosting these celebrations for three days every year and receiving positive feedback about “Forgotten Images” and other exhibits from residents—even the mayor—he decided to start the conversation on finding a permanent space. On Tuesday, Austin—with support from Vice Mayor Rex Richardson and Councilman Dee Andrews—will bring the idea to create an African American Cultural Center before city council. If approved, his agenda item would request the city manager work with community stakeholders to identify potential sites in Long Beach. While he hopes a place can be found in central or north Long Beach, where there is a high concentration of African Americans, Austin said any place is better than no site to acknowledge the deep, rich African American heritage in the city. Sharon McLucas, who with her husband David created the Forgotten Images exhibit, talks about some of her collected artifacts during a recent Black History Month event at the Expo Arts center. The goal is to ultimately have something comparable to the MOLAA or other brick and mortar spaces where Austin envisions a site that can host traveling exhibits, year-round events and educational symposiums specific to the African American community. Over 60,000 African Americans live in Long Beach, about 13 percent of the total population, with many notable trailblazers and pioneers like civil rights leader Ernest S. McBride and Doris Topsy-Elvord, who was the first African American councilwoman. Most recently, brothers Kelvin and Cletus Anderson have made a musical mark in Long Beach history with their iconic record store World Famous VIP Records, now closed, which helped launch the career of Snoop Dogg. In December, Mayor Robert Garcia presented the Andersons with a proclamation and the city council recognized the VIP Records sign as a historical landmark. VIP Records now has its eyes set on creating a multimedia center, black music museum and business incubator with President Shirin Senegal expressing interest in reaching out and working with Austin who said he hopes to build out some community infrastructure and private support for the cultural center. 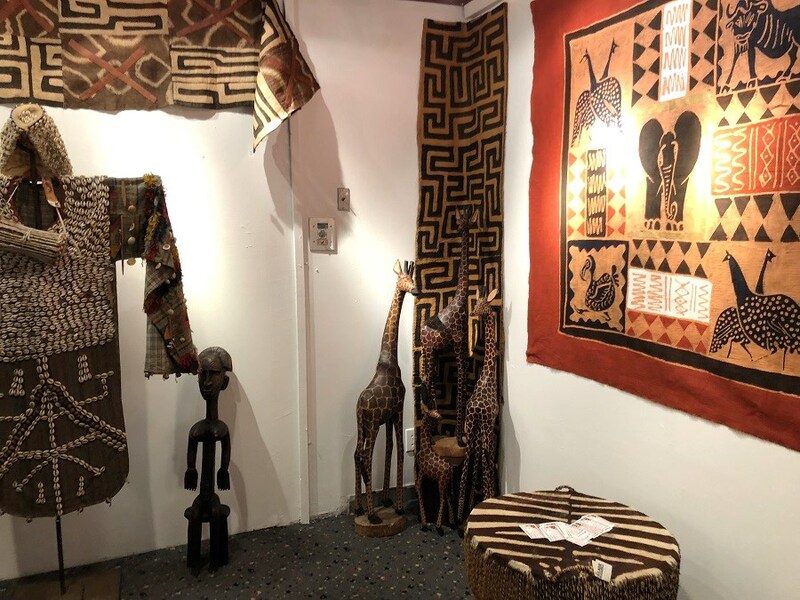 According to Senegal, lacking support from the Sixth District on VIP’s goals, she has met with Councilwoman Lena Gonzalez who is working to help with the museum and multimedia center. VIP has already put a bid to purchase the city-owned property on Martin Luther King Jr. and Pacific avenues, across the original VIP Records location. A new site for the historical sign has not yet been located. The city council will meet Tuesday, February 20 at 5:00PM in the Council Chamber inside city hall, located at 333 West Ocean Boulevard.